SSC CGL 2016 Result Declared Online at www.ssc.nic.in official website. Check online your SSC CGL 2016 Exam Final Result and download your marksheet, score card, posting order and rank. Staff selection commission has issued the official notice for all those candidates who are waiting for the final results of combined graduate level exam held in last year 2016. There are three phases in this examination- SSC CGL Tier-1, Tier-2 and Written Test. Now there is no interview for any post filling through SSC CGL. So all the candidates who are going to rank in merit, are not required to appear in any interview by the commission. This result is the final and you will get your post directly. There are millions of candidates appeared in the SSC CGL 2016 Tier-1 examination conducted in the month August 2016 while only thousands of students qualify this phase according to the cutoff declared by the commission and appeared in the written test for the final selection. Now it is the time for final results along with the post allotted to each individual who quality the written test. SSC official notice says that the commission would be declaring the final result of Combined Graduate Level Examination, 2016 tentatively on 4th August, 2017 at 6 PM. This is the notice declared by the commission to notify all the candidates to prepare for their final result and their wait ends now. 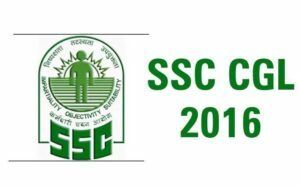 Only few days are left to declare the SSC CGL 2016 Result. You should check this page again because we will post the PDF containing all the details like Roll No., Name of the candidates, Marks and Post he/she allotted. Download that pdf file and check your roll no. Only few hours left in the declaration of the final result of SSC CGL 2016 Exam. We are updating the direct link here. So be tuned here for more updates. It might be possible that commission would provide online interface to check individual candidate’s result separately by entering their roll no and date of birth. So you should keep your roll no and date of birth ready before 4th August. The final result will be declared online on the official website of staff selection commission www.ssc.nic.in.